T123 W123 Break, 240TD 2.4 D 72cv, 300TD 3.0 D 88cv, 300TD 3.0 TD Turbo 125cv. W123 Berlina, 240D 2.4 D 72cv, 240D 2.4 D 72cv Autom., 240DL 2.4 D 72cv, 240DL 2.4 D 72cv Autom., 300D 3.0 D 88cv, 300D 3.0 D 88cv Autom., 300D 3.0 TD Turbo 125cv Autom., 300DL 3.0 D 88cv, 300DL 3.0 D 88cv Autom. 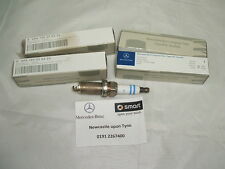 Normally Found In Most Petrol W204 C-Class Kompressor Models. Suitable For Selected Vehicles With OM271 Engines (4 Spark Plugs). Suitable For W204 C-Class C63 AMG Models and Also Others Models With OM156 Engine. Normally Found In Most Petrol W203 C-Class and C209 CLK Models. Suitable For Selected Vehicles With OM271 Engines (4 Spark Plugs). Premium Service. Shetland & Orkney. Channel Islands. Normally Found In Most Petrol W169 A-Class and W245 B-Class Models. 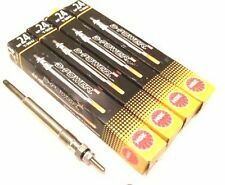 Suitable For Vehicles With OM266 Engines (4 Spark Plugs). Mercedes-Benz HEYCO 000 581 1067 Alemania 208-13/16 Bujía Llave. MERCEDES-BENZ HEYCO 000 581 1067 GERMANY 208-13/16 SPARK PLUG SPANNER. Has been cleaned and oiled. Good condition, good working condition. Comes with the Tommy bar. Type:- PLKR7A. SL500 5.5 M273.965 / 230 Series V8 03/06 –>. CL500 5.5 M273.961 / 216 Series V8 09/06 –>. 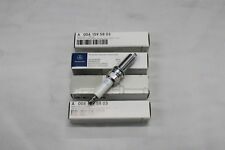 CLK500 5.5 M273.965,M273.967 / 209 Series V8 09/06 –>. CLS500 5.5 M273.960 / 219 Series V8 04/06 –> 12/10. Cabe OM646 - OM647 - 648 - 611 - OM OM OM612 motor. Nuevo y social. Einbauposition Vorne. Einbauposition Oben. EAN Nicht zutreffend. Conveniente para OM640 - OM642 - OM 629 motor. W169 - W245 - W204 - S204 - CLS 219 - W211 - S211 - W164 - X 164-X 204. Einbauposition Vorne. Einbauposition Oben. EAN Nicht zutreffend. Ford Galaxy 2.3 MK 1 (1995-2000) 01/97-08/00. Ford Galaxy 2.3 MK 2 V191 (2000-2006) 08/00-07/06. Land Rover Freelander 1.8 MK 1 (1997-2007) 08/00-02/07. Land Rover Freelander 1.8 MK 1 (1997-2007) 10/97-08/00. Part/OE number: A 004 159 07 03, A0041590703, 0041590703, 004 159 07 03. Always carefully compare OE number and pictures with your old part. United Kingdom. Unit 4 Blackwood Court. Daiko Parts. W169 A-Class CDI. W245 clase B CDI. Etapa de salida de tiempo de encendido / relé de precalentamiento. también es adecuado para. 4 piezas de usted. Bujías incandescentes para motores diesel. Las bujías incandescentes para. Brillo original S tapones CORSA C D de OPEL COMBO 1.3 CDTI - nuevo14.92 EUR. ¿Envío de Turbo compatible con?. 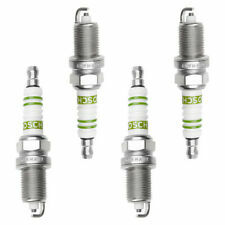 Set of 4 NGK PFR5G-11 Platinum Spark-Plugs. mostly for engines that use 2 plugs per cylinder. MODEL ENGINE / SERIES / ANY OTHER INFO PERIOD PLUGS REQUIRED. C43 AMG 4.3 M113.944 / 202 Series V8 02/98 –> 16. Manufacture Part Number A0041593903. Note c class w204. 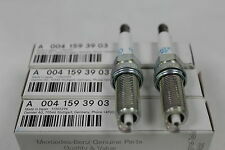 Type Spark Plugs. Renault Grand Espace 3.0 MK 3 (1997-2003) 01/99-04/03. Renault Grand Espace 3.0 MK 3 (1997-2003) 01/99-10/02. Suzuki Grand Vitara 1.6 (1998-2005) 01/01-07/03. Premium Service. Channel Islands. Nissan Cefiro 2.0 A32 08/94-12/98. SLK (R170) 96 - 04. C200 Kompressor 180 & 192bhp. C230 Kompressor 193bhp. C200 T Kompressor 192bhp. C230 T Kompressor 193bhp. 200 Kompressor 192bhp. 230 Kompressor 193bhp. E 200 Kompressor 186bhp. CLK (C208). CLK Convertible (A208). CLK (C209) / (A209). These Bosch spark plugs are compatible with the following vehicles. 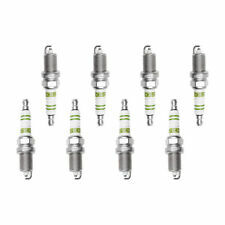 These cars require 2 identical spark plugs per cylinder making a total of 12. PRICE IS FOR A SET OF 4 CHAMPION SPARK PLUGS. ¡NGK bujías de alta calidad y piezas! ¡Excelente servicio! Gama estándar de NGK. Bujías NGK dar un nuevo arriendo de la vida de tú motor. Part Manufacturer NGK. Manufacturer Part Number Does not apply. CLS500 5.5 M273.960 / 219 Series V8 04/06 –> 12/10. CL500 5.5 M273.961 / 216 Series V8 09/06 –>. CLK500 5.5 M273.965,M273.967 / 209 Series V8 09/06 –>. E500 5.5 M273.960,M273.966,M273.971 / 211 Series V8 07/06 –>.